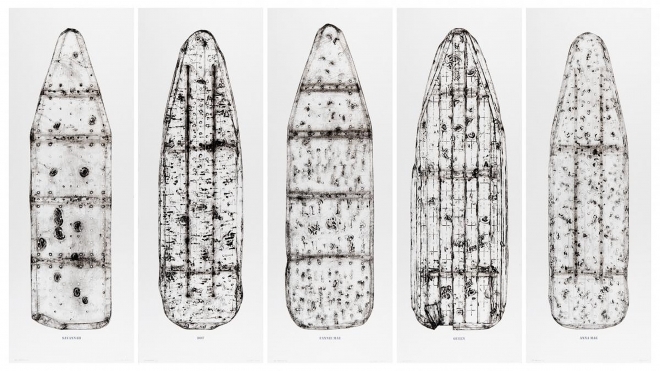 "Five Beauties Rising" is part of Willie Cole's Radcliffe exhibit of prints made from ironing boards that have been flattened, covered with ink, and used as plates on a press. Inspired by the women from the eras of Cole’s grandmother and great-grandmother, the works include names. Courtesy of Willie Cole. Artist Willie Cole uses everyday objects like ironing boards to ‘reveal the spirit’ within.